I have been fortunate enough to run this prestigious race twice. Both experiences were different in many ways yet equally amazing. I remember registering for the lottery like it was yesterday. Back in 2013, the registration was later in the year and I had just registered for the runDisney Dopey Challenge. I signed up for it without running a full marathon but went in knowing I would have to run one prior to the challenge. After one too many glasses of wine, my friend Darlynn convinced me into registering for the NYC Marathon lottery. Never in a million years did I think an acceptance letter was in my future. I was SO nervous. I rode the Staten Island Ferry to the start of the race alone. I couldn't make my brain stop. It was the most anxiety I have had prior to any race. 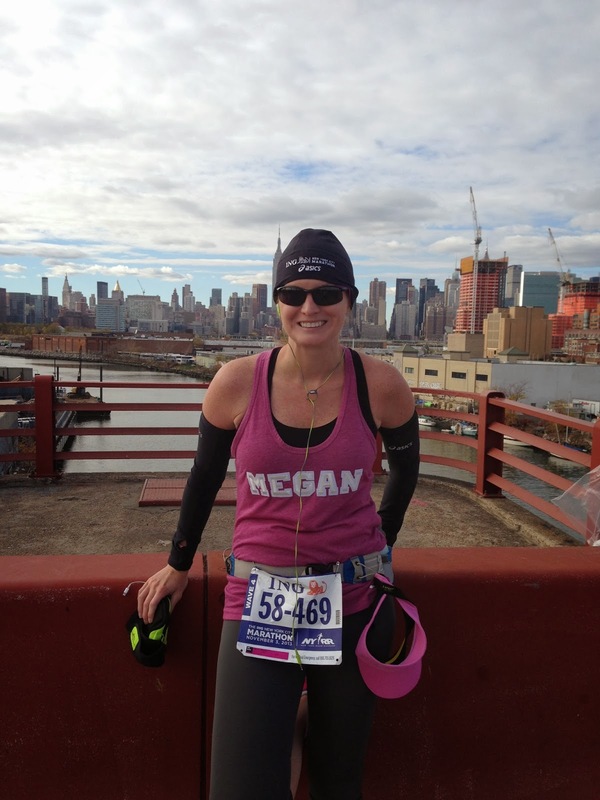 You can read my 2013 NYC Marathon recap here. I rolled my ankle in the beginning of the race and still have issues w/ it 2 1/2 years later. I finished the race, hysterically crying. Swearing I would never do another full marathon after Dopey was over. Boy did I eat those words. 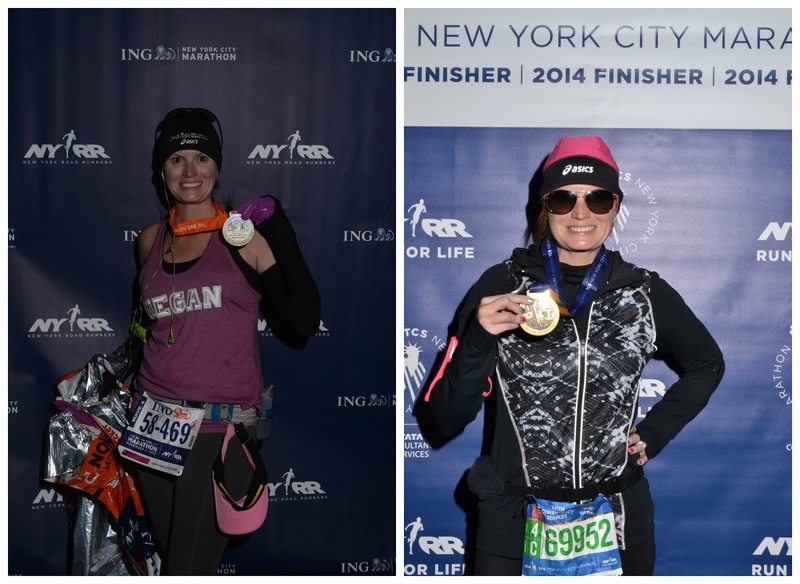 The 2014 NYC Marathon was an epic adventure of all time. I was asked to be part of the 2014 ASICS Blogger Challenge, one of 5 bloggers across the US to run the NYC Marathon as part of Team ASICS. I am not a fast runner and it was (and still is) amazing to me that ASICS works with runners of all shapes, sizes and speed. The overall weekend experience was unlike anything I would ever imagine. I will always be eternally grateful to ASICS for the 2014 NYC Marathon. Not only was the weekend perfect (except for the weather), I came home with friends that I will have for the rest of my life. You can read my 2014 NYC Marathon recap here. I am registering today in hopes to run my 3rd NYC Marathon. This will be ASICS final year as a sponsor and I hope to be there to help send them off in grand fashion. If you've ever wanted to run a marathon, I strongly suggest entering this lottery. Good luck! 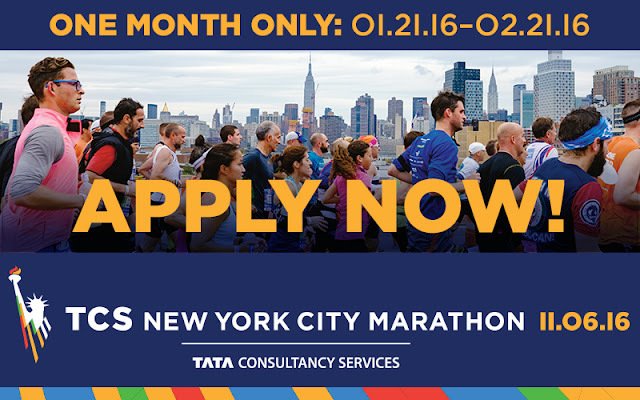 Apply today, January 21, 2016 through February 21, 2016 to enter the NYC Marathon Lottery. The 2016 NYC Marathon Lottery selection takes place on March 8th. Processing FeeRegular Fee: US $11 - This fee, required of all applicants, is non-refundable and is processed upon submission of the application. Please ensure when registering for the drawing that you use a credit card that has an expiration date later than March 8 2015.